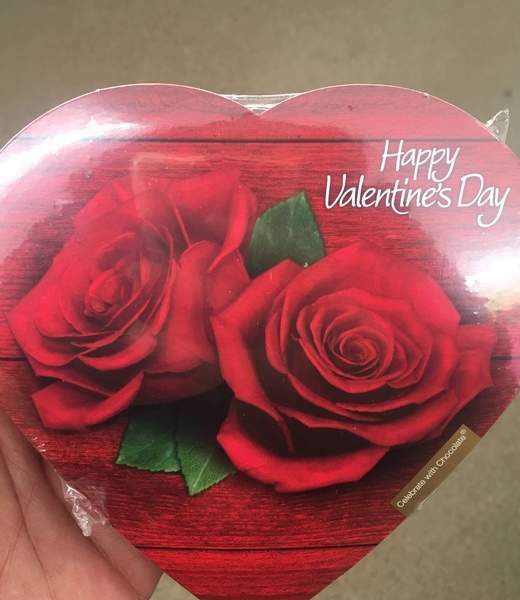 Lisa Green | The Journal Gazette Valentine's Day chocolates I found in a dollar store the day after Christmas. I suppose it was inevitable, to start seeing heart-shaped boxes of sweets in late December. On the day after Christmas, due to a mix-up involving both the time and location for a morning appointment, I found myself with 30 minutes to spare. And since I felt like I didn't have time to waste, I drove to a dollar store two minutes away to pick up a couple items on my weekly shopping list. Once inside the store, I immediately noticed a worker just inside the door putting out new items and re-positioning Christmas-themed items that were being discounted by 50 percent to help empty the shelves of seasonal stock. And just one row over from where that worker was busy, I quickly spotted Valentine's Day chocolates and other items. I smiled and thought about how retailers waste no time shifting merchandise from season to season. I'm already certain that on Feb. 15, the day after Valentine's Day, we can look forward to green - that means St. Patrick's Day items will be occupying shelf space.